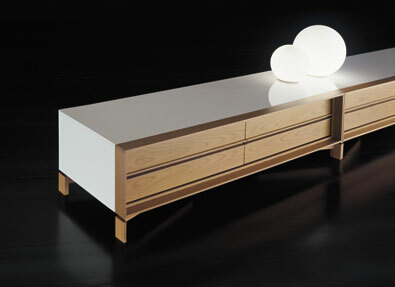 Design: Sergio Brioschi. 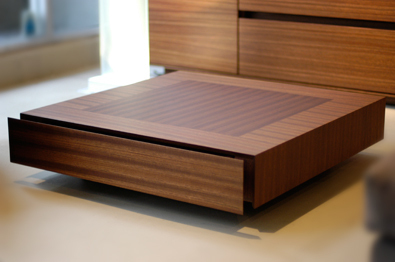 Server with 2 internal drawers and one sliding door, finished in your choice of lacquer and Zebrawood combinations, or entirely in Zebrawood. 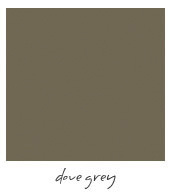 glossy lacquer: dark grey, apple green, dove grey, dark brown, red, orange, aubergine, black, white. 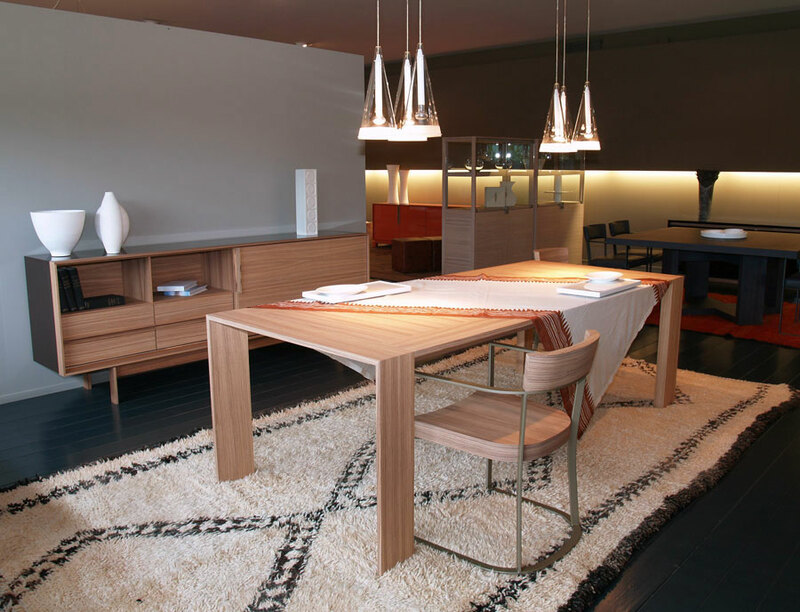 Small server with different combinations of central drawers and swing doors, finished in your choice of glossy lacquer and Zebrawood, or entirely in stained or natural Zebrawood. 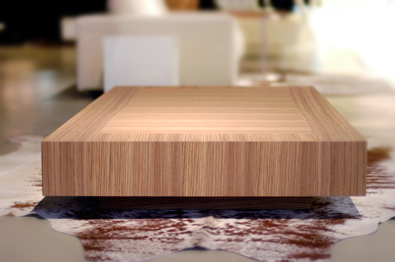 Interior finishing, exterior grooves and base are always in Zebrawood. 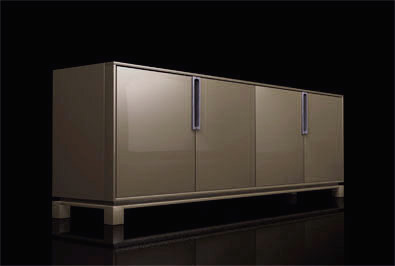 CR21 TPL Server with 4 swing doors, all lacquer exterior and Zebrawood interior. 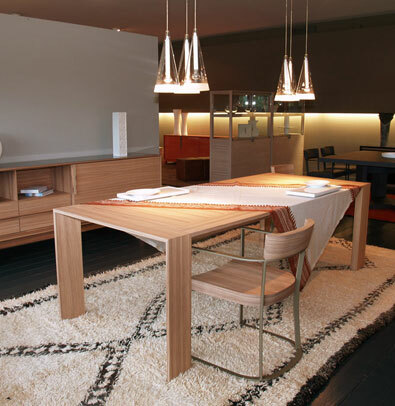 Interior finishing and handles in natural Zebrano, grey stained, bleached, walnut stained, or wengé stained Zebrano. Fixed internal shelves. 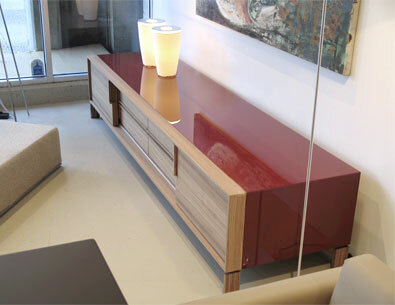 MAO2 TP Cabinet with all lacquer exterior and Zebrawood interior. 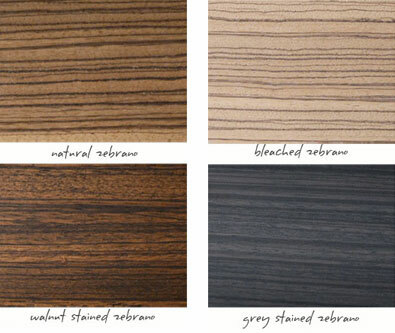 Interior finishing and handles in natural Zebrano, grey stained, bleached, walnut stained, or wengé stained Zebrano. Fixed internal shelves. 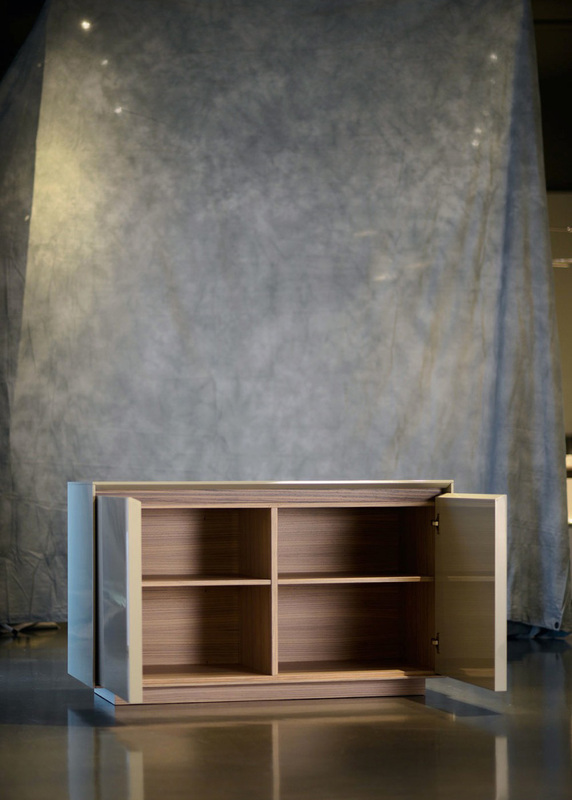 CR21 server with 4 doors and fixed internal shelves, finished in your choice of lacquer and Zebrawood combinations, or entirely in Zebrawood. 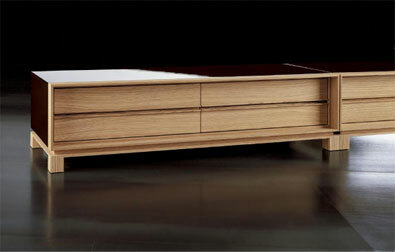 Shown with lacquer surround, and natural Zebrawood doors, trim, legs and interior. 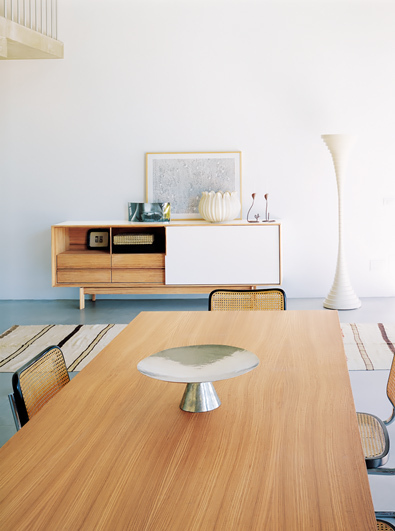 Our most popular selling server from Cecchini. 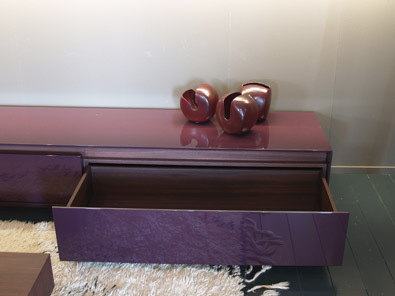 Low storage cabinet with drawers, finished in your choice of glossy lacquer and Zebrawood, or entirely in stained or natural Zebrawood. 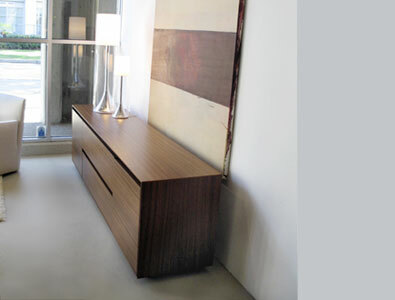 Interior finishing, exterior grooves and base are always in Zebrawood. 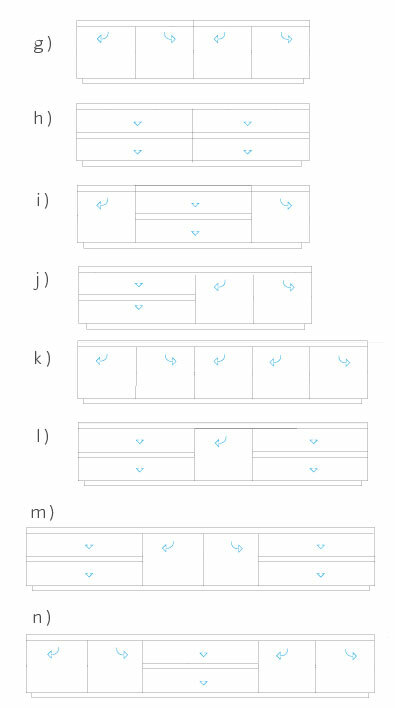 Cabinets can be ordered as wall mounted versions, in which case they are supplied without a base, and the overall height is reduced by 6 cm / 2.36". 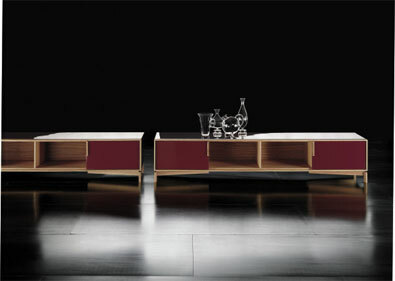 depth: 53 cm / 20.86"
Server with various combinations of central drawers and swing doors, finished in your choice of glossy lacquer and Zebrawood, or entirely in stained or natural Zebrawood. 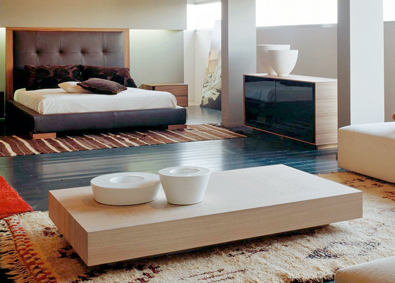 Interior finishing, exterior grooves and base are always in Zebrawood. 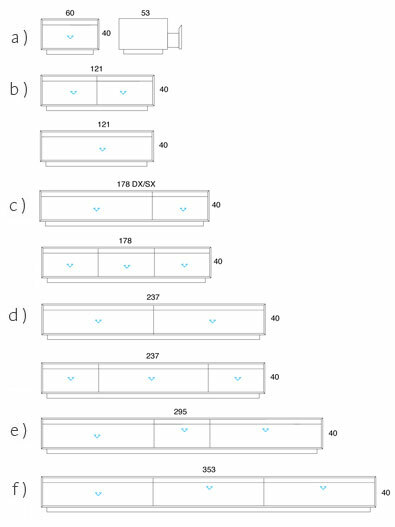 Larger server lengths of 116" and 139.36" can be shipped disassembled. 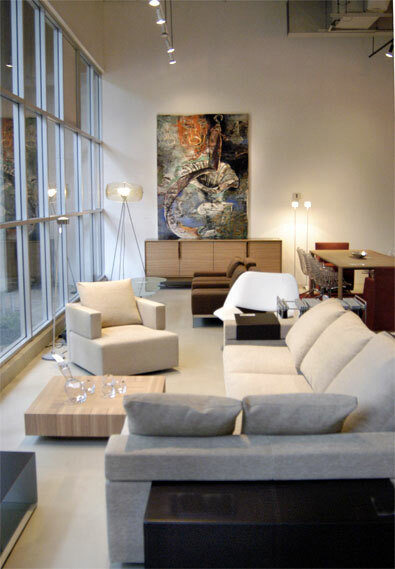 Armchair with lacquered steel frame in champagne with Zebrawood seat and back. 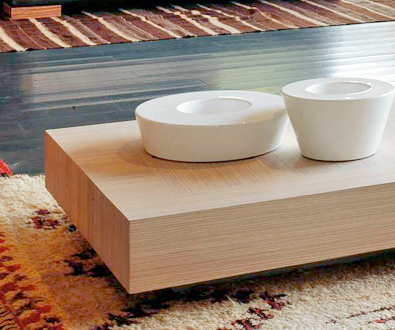 TQ16 square table with cross base which can be positioned either diagonally or at right angles to the table top, (table is equipped with two complete sets of countersunk holes). Finished entirely in Zebrawood in your choice of stained finish. 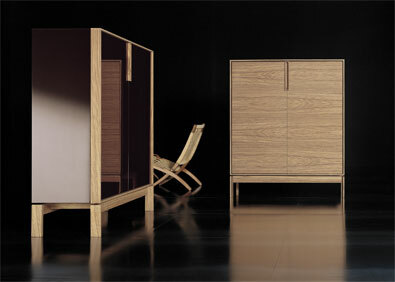 MA 02 multipurpose storage cabinet available in combinations of lacquer and Zebrawood, or all Zebrawood. 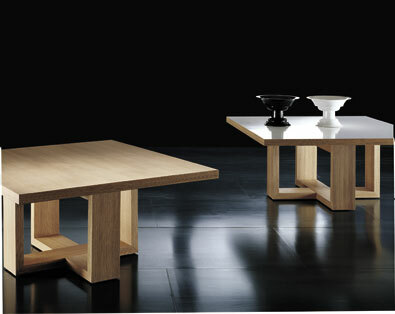 The version shown on the left is lacquered on the sides, top and front, with Zebrawood on the back, legs, and trim, and the interior completely finished in Zebrawood. 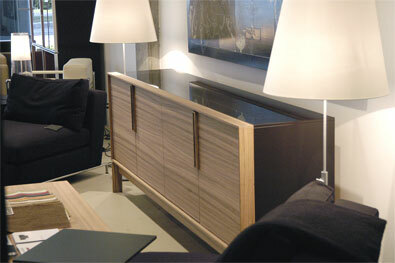 BA 25 low cabinet finished in your choice of Zebrawood and lacquer combinations. 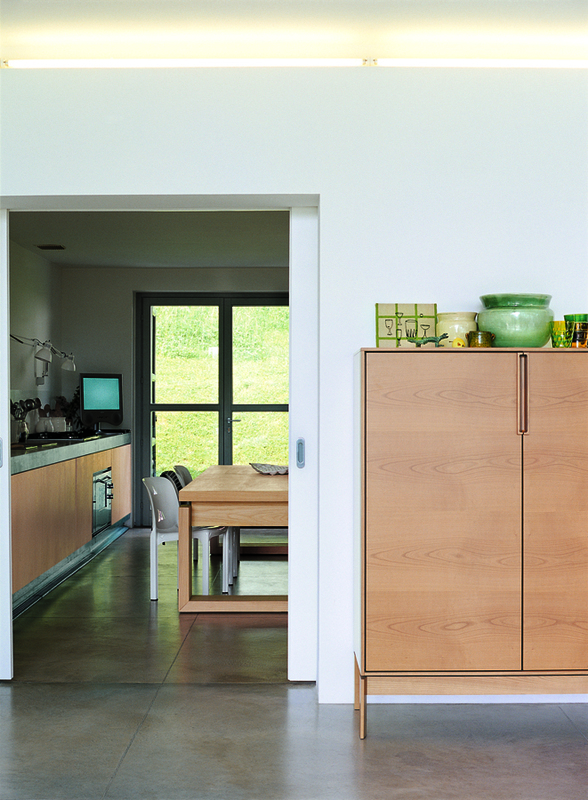 Interior compartments easily accommodate audio and video components, and the sliding doors mean you can easily access remote control functions when needed, but keep your equipment out of sight when not in use. BA 26 low cabinet with 4 central drawers, and sliding doors with open compartments on each end. 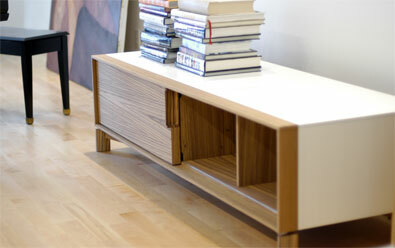 Finished in your choice of Zebrawood and lacquer combinations. 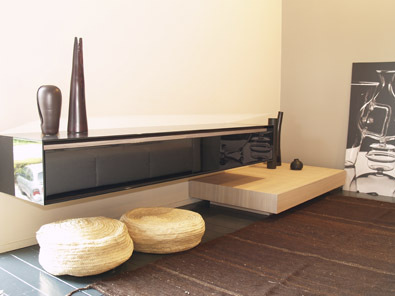 Interior compartments easily accommodate audio and video components, and the sliding doors mean you can easily access remote control functions when needed, but keep your equipment out of sight when not in use. 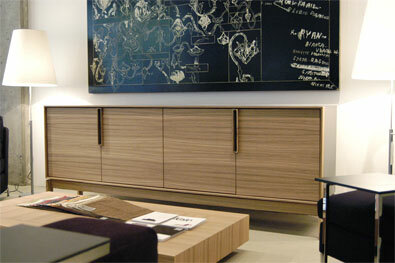 BA 19 low cabinet finished in your choice of Zebrawood and lacquer combinations. 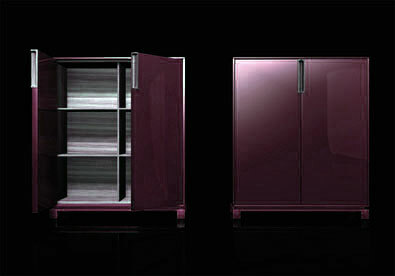 BA12 low base with one sliding door, two open compartments, perimetric legs, and two drawers. 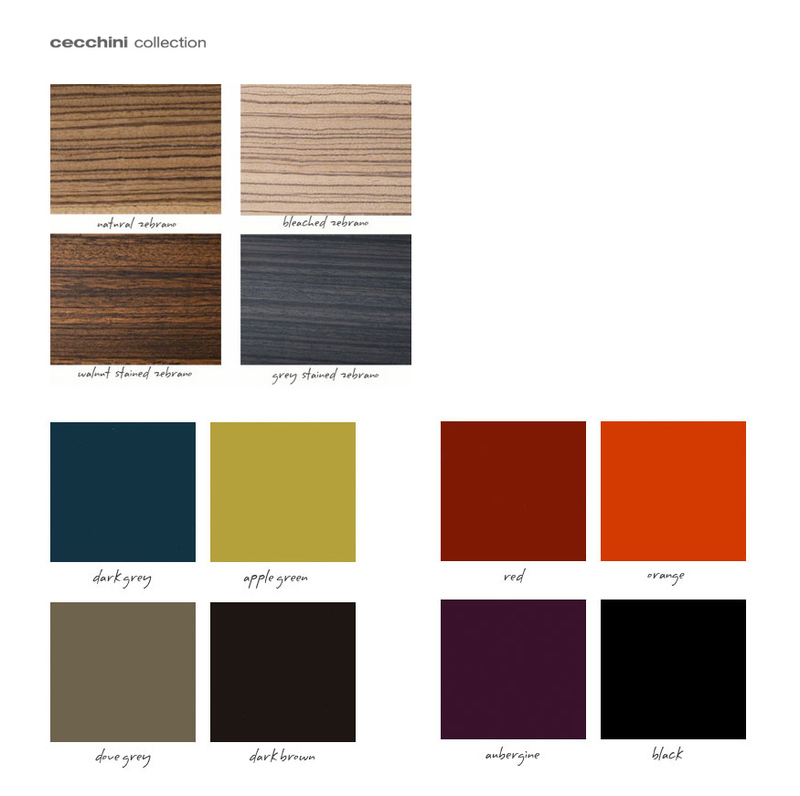 In your choice of Zebrawood finish and gloss lacquer combination. 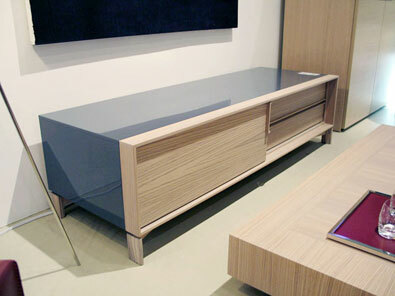 $6,820.00 | lacquer surround, with natural zebrawood trim, legs, interior, and door/drawers. 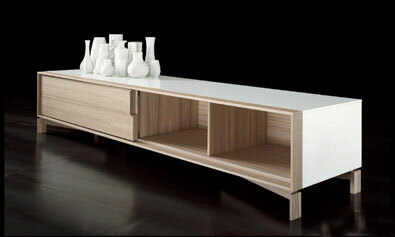 $7,365.00 | lacquer surround, with stained zebrawood trim, legs, interior, and door/drawers. 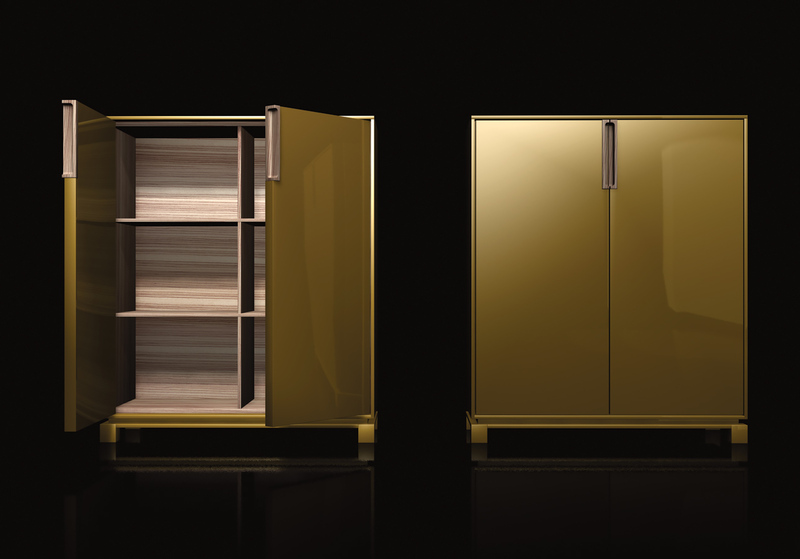 BA11 low base with one sliding door, four open compartments, perimetric legs, and your choice of Zebrawood finish and gloss lacquer combination. 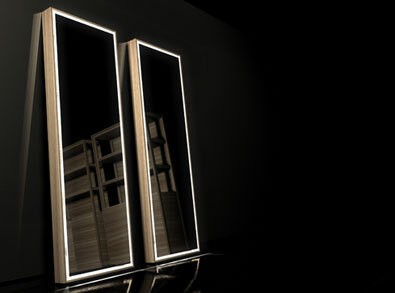 Recessed mirror appears to float within the zebrawood frame and is inset from the edges. 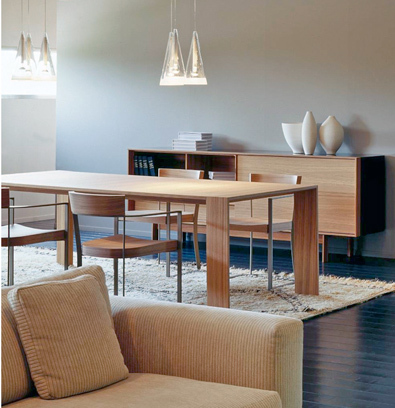 The mirror can easily be hung from the wall either vertically or horizontally and includes installation hardware. 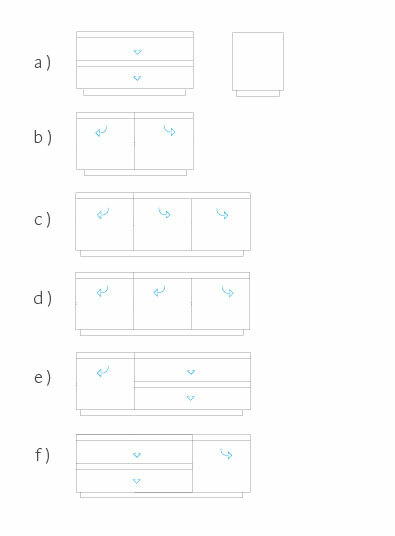 BA10 TP, 4 Drawer Unit with perimetric base, and your choice of Zebrawood finish and gloss lacquer combination, (photo shows two units placed side by side). 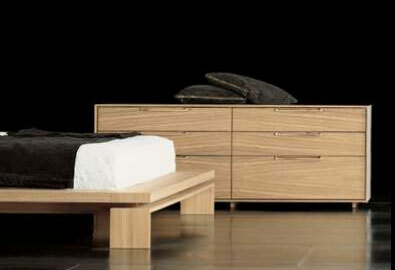 Chest of drawers in all zebrawood or combination of zebrawood and lacquer exterior, available in 2 sizes. 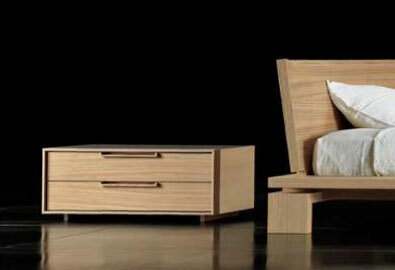 Nightstands in all zebrawood or combination of zebrawood and lacquer exterior, available in 4 sizes.